Look carefully at the cover of this book, because in many ways the cover sums up the challenge of writing this book. 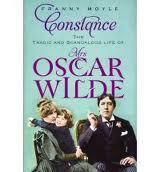 Constance (Mrs Wilde) has often been relegated to a bit part in the much more flamboyant story of Oscar Wilde. This biography is about her, in her own right, but even in the marketing of it, the name ‘Oscar Wilde’ dominates. Look, too, at the picture of the family. It is actually two photographs combined. The photograph of Constance with her older son, Cyril, was taken in 1889. While it is a charming photograph, I was chilled throughout the book by the favourism that both Constance and Oscar showered on Cyril, at the expense of his younger brother Vyvyan who was about three at the time this photograph was taken. It was, indeed, as if they had only the one child. Then, to the right of this artificially-compiled family portrait, is Oscar. I suspect (although I admit to not being absolutely sure) that this photograph was taken in 1892 . If so, by this time, Oscar and Constance’s marriage was already under strain, with Oscar already enmeshed with Robbie Ross and he had already met, and been smitten with Bosie. However, Constance did not linger at home alone in the shadows, as this book shows. When she married Oscar, they formed what we would now call a celebrity couple, noted for their radical aesthetic tastes and pre-Raphaelite sensibilities. Constance was a striking beauty. She too wrote stories, and she was well-known for her adherence to the principles of the bohemian Rational Dress Society. She had a number of strong female friendships, particularly with older women, and she thought nothing of packing her children off to stay with others- particularly the less-favoured Vyvyan- and vacationing with friends for months at a time. Like many other late 19th century men and particularly women, she was attracted to Theosophy and spiritualism. Moyle draws heavily on the correspondence between Constance and her brother Otto, and to her close friend Lady Mount-Temple with whom she often stayed. Oscar is, of course, mentioned in these letters, but they are written to her own friends and relatives, not Oscar’s. We all well know about the court case and Wilde’s imprisonment. It’s well-trodden territory and yet Moyle is still bewildered by Constance’s easy encouragement of Wilde’s friendships with men, and again by Oscar’s erratic behaviour after his release from jail, especially in demanding money from Constance who had already been more than generous. Moyle’s sympathies are very much with Constance, who despite changing her own and her children’s surname to “Holland” continued to love Oscar after his conviction, visited him in jail, and was equivocal about divorcing him although she gained a judicial separation from him eventually. She died in April 1898 following surgery, anecdotally on her spine although it may have been gynecological, at the age of 42 and just over a year after Oscar had been released from prison. The book cleared up one thing for me. In Stephen Fry’s film ‘Wilde’ (and was ever a man born to play a part as this? ), Oscar is shown visiting Constance’s grave on which is engraved ‘Wife of Oscar Wilde’. I commented while watching at the time that it was a brave statement to make, given Wilde’s broken reputation at the time. In reality, Constance’s grave originally made no such claim. It read instead ‘Here rests in peace Constance Mary, daughter of Horace Lloyd Q.C.’. The inscription ‘Wife of Oscar Wilde’ was added in 1963 by her brother’s descendants. I have mixed feelings about it, and I wonder how she would have felt about the omission in the first place, and its reinstatement many years later. Read because: It interested me. The big news here in Melbourne is that last night we experienced an earthquake measuring 5.3 in magnitude, the largest in 100 years. On Sunday last, during the hours of divine service, a rumbling noise was heard in the earth, supposed to be the forerunner of an earthquake. In the church it was distinctly heard, and the congregation alarmed; also in several parts of the town, giving rise to various speculations upon the subject. This is the second short history of the West Indies that I have read- so any comments I make about this book will be in reference to a grand total of TWO books! However, reading two similar books within a short period of time does allow some comparisons to be made, and the very act of comparison highlights the differences in approaches that can be utilized in writing a short history. This book forms part of a “Brief Histories” series published under the Hodder Education umbrella. Other books in the series cover Modern Greece, Czechoslovakia and Eastern Europe 1939-2000. I strongly suspect that it has been written as an undergraduate introductory text by its layout, level of generality and in the reference section which is divided at a chapter level into primary and secondary sources. The Perry, Sherlock and Maingot book that I reviewed earlier focused on political and economic forces, particularly those emanating from Europe, and their effect on the West Indies. They highlighted the island nature of the West Indies, and heavily emphasized the maritime nature of the West Indian economy, and the place of the Caribbean within the jostling for naval supremacy between empires. This book is almost a polar opposite. It focuses on the topography of land on these islands, rather than the seas that separate them, and is largely a social history of the plantation system and the slave and coloured community that arose in response. It is, of course, a far more recent book than Perry et al , which came out in first edition in 1956. Recent scholarship is reflected in Heuman’s book in terms of indigenous people, resistance, agency and women. He devotes a chapter to the Tainos people, the Amerindian people who moved to the Caribbean c 2000 BC to establish a relatively sophisticated, hierarchical agricultural society- a group largely dismissed in a couple of pages in Parry et al’s book. Heuman highlights the resistance to plantation conditions and the apprenticeship system conceded grudgingly in the wake of the abolition of slavery, especially among women. This book explores the nuances of colour, especially among the Free Coloureds who, despite the legal equality with whites granted just prior to the abolition of slavery, always found the social and economic line between slave and coloured more permeable than that between coloured and white. He argues that although they developed at different times and under different European powers, slave societies in the Caribbean followed a similar trajectory. What happened in Barbados was repeated in Jamaica and Saint Domingue (Haiti) in the 18th century, and Cuba and Puerto Rico in the 19th century. Likewise, the planter class structure was largely replicated across different settings, despite the different nationalities represented. Slavery, emancipation, resistance and revolution take up the body of the work, and form the narrative skeleton of the book. I must admit to skim reading the latter parts of the book dealing with the twentieth century, which in terms of page numbers alone is less detailed than the eighteenth and nineteenth centuries. The book draws on primary sources and visual representations as a way of providing a far more human perspective than Parry et al’s book. It does not particularly engage with the historiography of the Caribbean, beyond the fairly recent challenge to Eric Williams’ reappraisal of slavery and abolition through his Capitalism and Slavery published in 1944. There are only limited footnotes in each chapter, although a ‘further reading’ list is provided at chapter level as well as a more general bibliography. And it has a beautiful, clear, well-labelled map! Every Friday night we settle down in front of the TV for the ABC Friday night splatter-fest. I’m usually quite nonchalant about the gore except when it depicts eyeballs (a long standing phobia), torture and violence to or about children. These things are likely to propel me out of my chair to quickly escape to the kitchen to make a ‘hot drink’, calling out “Is it over yet?” before I return. Reading about (as distinct from watching) torture and violence about children upsets me too. I found Rocks in the Belly a difficult read, and while it’s not so much about violence to a child (mmm…maybe? ), it seems that most people who have confronted the book We Need to Talk About Kevin shudder at the thought of watching the movie as well. Birch sustained the voice of thirteen year old Jesse well, with short sentences and a mixture of naivete and knowing too much. You sense that Jesse is turning, no longer pretending that he doesn’t know how his mother earns her money, and becoming hardened to the wrecks of masculinity that she is drawn to. It is only his sister Rachel who anchors him. There’s a lot of dialogue in the book, and it would transfer well onto the screen. The descriptions of blasted, tawdry broken-down landscape are evocative- rather too evocative. It’s a little bit like the world of Tim Winton’s ‘The Turning’, viewed from a child’s perspective. Jesse and Rachel see ‘To Kill a Mockingbird’ at a theatre (a rather implausible scenario- surely a late night cable movie in one of the tatty motel rooms that they’d been left in would have been more likely?) Birch uses the film as a motif, and the two children draw comfort from the characters of Jem and Scout. But Gwen is certainly no Atticus, and this book has little of the redemption or sense of community in TKAM. I’m not sure whether the allusion to the movie adds much to Birch’s narrative: while it throws up a strong contrast, there is an element of riding on the coat-tails of a much more nuanced book as well. There is the theme of blood, too, from which the book draws its title: the shared blood of commitment, the blood of family ties, and the blood of violence. And yet another motif is the tarot cards that the feckless Gwen plays with, that provide as much (or little) direction as anything else in her life. Despite the plaiting together of these motifs, there’s nothing tricksy about this book. It is straightforward and simple, with few flashbacks and a single narrative voice. I found myself wanting to know what happened, but I knew within one or two pages that it wasn’t going to end well. I found it easy to put down after each of the five sections, and was almost reluctant to pick it up again because it was painful and raw. 2006, 153 p. & notes. Translated by Chris Emery. One of the things that surprised me when looking at the history of slavery in the West Indies (and the map of Caribbean slavery I showed in a recent blogpost) was the involvement of countries that I don’t readily associate with slavery or the West Indies for that matter- Sweden and Denmark for example. I was aware of the English, French and Spanish involvement, the long classical history of slavery, and the participation of Africans themselves, but I didn’t think of Scandinavian countries which somehow seem so ‘white’ and Northern European. In reading this book, I was reminded of the response to John Hirst’s Convict Society and its Enemies, a similarly punchy book. 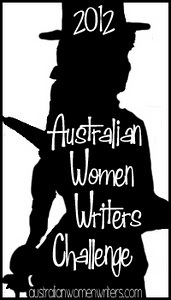 Hirst argued that right from the planning stages of the First Fleet there were slippages in the intent and practice of New South Wales as a penal colony, and that the system had freedoms and rights designed into it from the start. It’s a prickly argument to run: Hirst admitted that there were cases of brutality, but that the extreme had become seen as the norm, and that the historical record of a more prosaic, adaptable system had been obscured. Likewise in this book, Emmer clearly states that slavery was wrong, but that it was never as large, politically influential, or financially lucrative as in other European countries. For both historians, the major point is conceded, and rather than spending time reiterating it, the argument moves to the nuances of a more complex treatment. It’s not so much down-playing, as moving to a different line of argument, but their opponents might see this as dismissal or special pleading. Emmer points out that the Dutch used few slaves on their own holdings in the Dutch Antilles, which were not suited to large-scale plantation agriculture, or in what was to become New York. 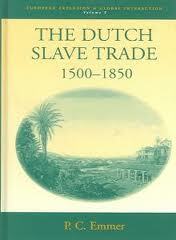 They first became involved supplying slaves, purchased in Africa from African slave traders, for the Spanish gold and silver mines, but this expanded over time to a market in supplying slaves sourced from the African slave-traders for the Dutch plantation colonies of Berbice, Essequibo, Demerara and Suriname. The first three of these were later to become British Guiana in the territorial merry-go-round after the Napoleonic Wars (and hence my interest in them). The middle part of this small book focuses on the trade itself: the crossing from Africa to the West Indies, then the nature of plantation slavery in the Dutch colonies. However, unlike the English and French colonies, the West India Company and Dutch plantations were not profit-making enterprises, and formed only a marginal part of Dutch commerce. When the end of slavery came, it was with a whimper because the trade itself was unsuccessful, and any reparations to slave-owners were easily covered by a system of forced-farming in Java, where villages were forced to pay a tax of coffee and sugar, thereby bolstering the coffers of the treasury in the Netherlands. The relative economic insignificance of slavery to the Dutch economy (especially compared with the English situation) raises the question of why the Netherlands did not take a strong lead in the abolition of the slave trade, and then slavery itself. The reality is that slavery did not end in the Dutch colonies until 1863, long after the other slave-trading European countries had done so, and that it was only English pressure that led to half-hearted acquiescence to the abolition of the slave trade in the early 19th century. Emmer attributes this to a defensiveness on the part of Dutch politicians, who did not share the English openness to change but instead adopted a shield of conservatism and self-preservation. Emmer locates the slave trade among other ‘debts of honour’ that the Netherlands owe- a phrase that he thinks particularly apposite given the Dutch emphasis on finance. These debts revolve around treatment of Dutch Jews during WWII; about actions in Indonesia; and the Dutch slave colonies. He raises a number of difficulties to the question of reparations, but suggests instead that 1 July should be commemorated as the date in 1863 when slavery was finally abolished in Dutch colonies. I have no idea how the politics of this plays out in the Netherlands, and how and if the situation has been complicated by the increase in far-right politics in Europe. You can find a good review of this book, and Emmer’s response to the review at Reviews in History. There’s also an article available here online that gives a taste of Emmer’s approach.